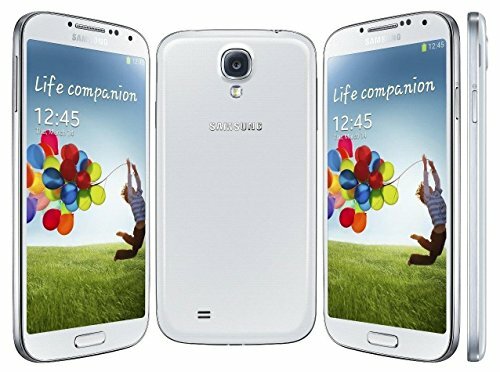 Samsung Galaxy S4 is a great quality Android phone released back in 2013, which counts with a pretty large 5 inches touch-screen, a high speed 2300 MHz Quad-Core processor, and 2 cameras, a 13 mega-pixels back facing camera and a 2 mega-pixels front side camera. We will get a better understanding of this device's pros when we get into specific details. This phone is just 0.31 inches thick, taking it to the thinnest cellphone's category. Whereas this device is just 5.38 inches long, it manages to hold a 5" screen. Samsung made a very nice job making this cellphone weight only 4.62 oz. Samsung sells this device in a lot of color variations: black, blue, red and white. Regarding its design, this cellphone is created with Polycarbonate. The S4 is powered by a Qualcomm Snapdragon 800 (8974) chip, which holds a high-tech 2300 megahertz Quad-Core CPU and a big 2 GB of RAM memory. To handle graphic intensive apps, this device also uses an Adreno 330 graphics processing unit running at 450 MHz. 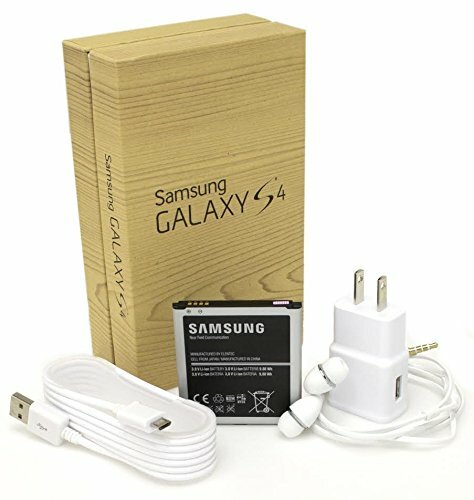 The Samsung Galaxy S4 counts with an amazing 32 GB internal storage and an SD extension slot, which allows you to install hundreds of apps without even thinking about filling it. This phone is equipped with two cameras, a 13 MP back facing camera and a 2 megapixels front side camera. Although it's 13 mega-pixels may sound amazing the back facing camera has a small 0.326797-inches sensor which makes pictures be less detailed and darker than you would expect. It is also able to capture videos up to 1920x1080 (Full HD) at 30 fps. In addition, this phone's camera also features a lot of valuable characteristics like auto-focus, flash, digital image stabilization, face detection shooting, smile detection shooting, geo tagging and HDR mode. This phone includes a gorgeous 1920 x 1080 (Full HD) 5 inches screen, which makes all images and videos look vivid and colorful. 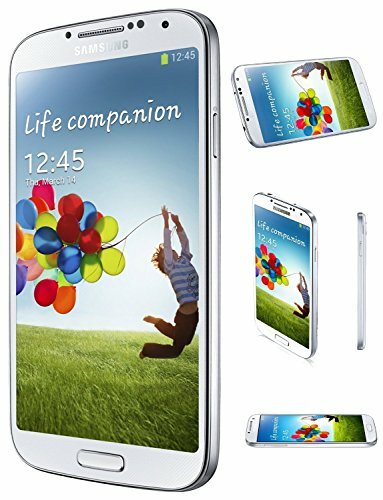 Its screen uses Super AMOLED capacitive technology, and has multi-touch detection. 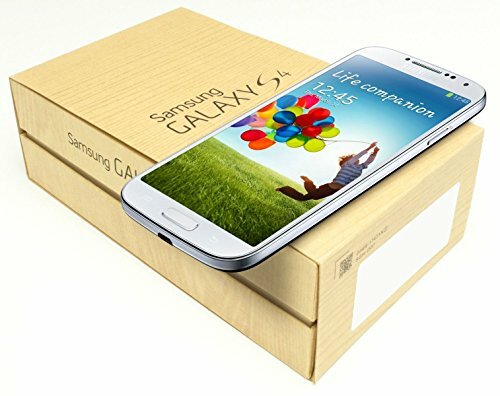 This phone uses a 2600 mAh high capacity Li-Ion removable battery that provides the S4 a quite long battery duration. This cellphone offers wi-fi connectivity (which can be provided to other devices around, acting as a router or modem), 4G LTE high performance connectivity and also HSPA+ connectivity, a slower 4G type or 3G fast data connection, using HSDPA, HSUPA, UMTS and EDGE technologies. The S4 uses a Micro SIM card for GSM carriers. This cellphone also comes with many interesting features like Bluetooth (4.0), GPS Localization, Infrared Transmitter and NFC (to trigger actions, transfer data or make payments by holding your cellphone close to another NFC device or tag), and multiple sensors like Light Sensor, Proximity Sensor, Accelerometer, Gyroscope, Barometer and Compass. 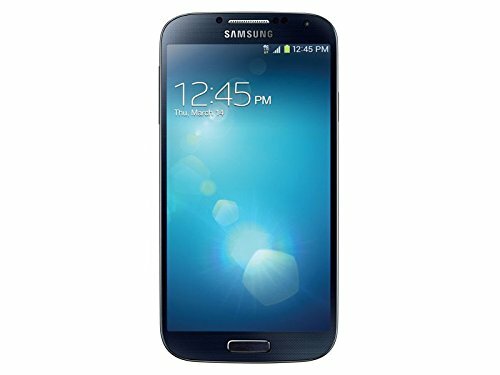 The S4 is a real bargain considering it's a great phone and it only costs 155 dollars. This cellphone is the right one if you need a phone majorly for internet broswing and social networks, want it to take tons of photos, want a cellphone for playing games or want a work cellphone.